Recess time at Rock Springs Elementary, which could close if a funding referendum in April is not approved. 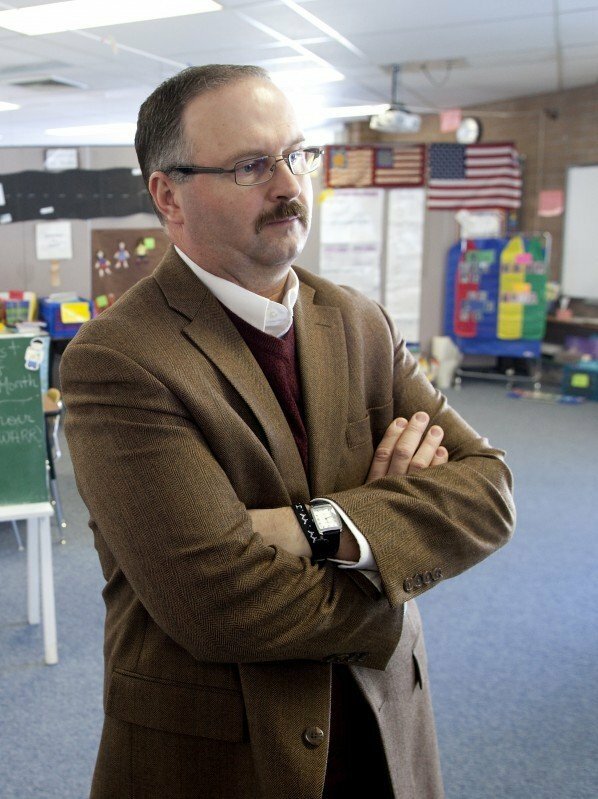 Tom Benson, superintendent of the Reedsburg School District and principal of Rock Springs Elementary School. The school could be closed if an April 6 referendum does not pass. Rachel Burkel, right, working with Alex Westfall, 10, with a project. Elementary schools are closing around the state due to budget restraints and Rock Springs Elementary, part of the Reedsburg School District, could be closed if a referendum does not pass in April. Nearly all the business are now closed on West Broadway Street in downtown Rock Springs after a flood in 2008. Shuttered businesses after the flood of 2008 in Rock Springs are a part of the community, which has been seeing a declining school enrollment, and as a result, less school aid from the state. ROCK SPRINGS — The flood of 2008 destroyed homes and closed businesses in this village's downtown. What officials say is a flawed funding formula may lay claim to the school. The Rock Springs Elementary school would likely close if voters in the Reedsburg School District reject an April 6 referendum asking for an additional $1 million for each of the next four years. It would mean the school's 92 students would be dispersed to other schools in the district and strike another blow to this village of 424 people, about eight miles west of Baraboo. "I'm a little bit worried because I think it's going to be a lot for people to afford, but I'm cautiously optimistic," said Carmen Luther, 38, who has a kindergartner and fourth-grader at the school. "I know that people don't think class size matters, but class size does matter." A failed referendum could also lead to the closing of two other rural schools in the district, one in LaValle, the other in Loganville. And the Reedsburg district is hardly alone. 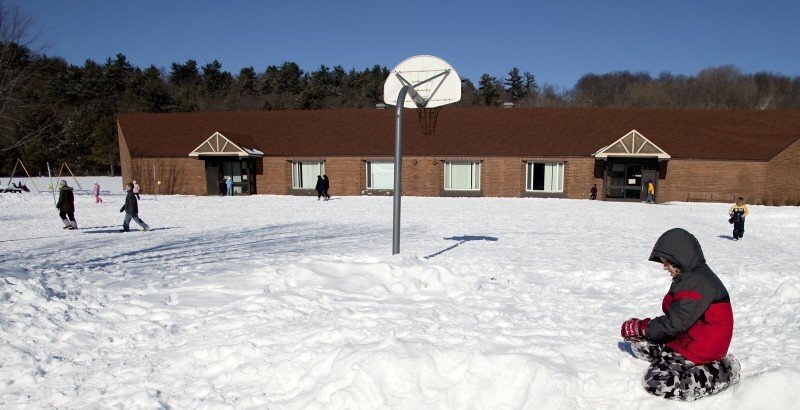 Dozens of rural elementary schools in Wisconsin have closed in recent years, according to the state Department of Public Instruction, and more could be shuttered as school boards — faced with declining enrollments, reduced state aid, soaring health care costs and state-imposed spending limits — look for more efficiencies and cost savings. "Declining enrollment is at the very root because what revenue limits do is speed up the impact of declining enrollment," said Todd Berry, president of the Wisconsin Taxpayers Alliance. "If a school district is growing, it's probably not going to close an elementary school." Changes in how the state funds schools are unlikely to occur any time soon. Gov. Jim Doyle on Monday dropped a school reform proposal he first put forth more than a year ago. Adam Collins, a spokesman for the governor, said the plan was dropped in part due to a lack of interest from lawmakers. But legislative leaders say they never saw a bill or details on the plan from Doyle and they didn't have contact from his office on it for more than a year. The proposal would have allowed schools to come out from under state-imposed caps on the revenue they can raise from property taxes and state aid if they met certain standards. Before 1993, school boards wanting more money for school operations could simply raise taxes, and risk retribution from voters if they went too far. Revenue caps stripped school boards of that power, requiring them instead to seek the permission of voters in ballot questions. Some districts have been hit particularly hard as declining enrollment means less money from the state while costs per pupil — including salaries, utilities and operating school buses — keep rising. Inflating the problem is that the state cut aid to school districts by 2.7 percent this year after increasing aid by an average of 2.3 percent per year since 2003, according to a report from Berry's Madison-based nonpartisan research group. It also reports that school districts increased the amount of taxes levied for 2009-10 by 6 percent. Levies increased 5.2 percent in the 2008-09 school year. The concept of a qualified economic offer, or QEO, which limited pay and benefit increases to school staff members, has also been repealed. That could result in more cuts as teacher compensation — a district's largest cost — rises, Berry said. "Unfortunately it's a sign of the times," said Gary Andrews, president of the Cuba City School Board, which closed Dickeyville Elementary School in 2004. "You need to be fiscally responsible and those savings that come from closing schools are part of the toll." But it's not just smaller school districts feeling the pain. The Madison School District, the state's second largest, faces a nearly $30 million budget hole for the 2010-11 school year. The board is looking at raising property taxes, cutting jobs and school programs, or a combination of the two. Since 2002, elementary schools have closed in larger districts, according to the DPI. But when they close in a smaller community, the result is more busing, and the community loses a piece of its social culture, officials say. The 1,200-student Westfield School District, about 60 miles north of Madison, receives just one-third of its funding from the state. The district has cut more than $1.3 million from its budget over the last six years as expenditures rose by 4 percent a year while state aid prior to this year rose by just 2 percent a year. In addition to Westfield, the district also has elementary schools in the outlying communities of Neshkoro, Coloma and Oxford. If a referendum asking to exceed the revenue cap in each of the next three years is not approved on April 6, Neshkoro, an award-winning school, would close this fall, and the future of Oxford and Coloma schools would be in doubt. The district also could consolidate with the neighboring Montello School District. A vote on that proposal is scheduled for Nov. 2, regardless of the outcome of April's referendum. "Districts have to start consolidating services or find cheaper ways to reduce salary and benefit costs or hope that the state provides more money, which I wouldn't necessarily count on," said Brian Walters, business manager for the Westfield School District. "You get to a point where you can't cut any more." However, Jeff Holmes, superintendent of Montello, worries that if the school funding formula isn't fixed, a consolidated district would be a "bigger ship sinking in familiar waters within the next decade." His comments came in a January column in the Marquette County Tribune in which he recommended consolidation with Westfield. "Consolidation is the least objectionable." In Rock Springs, the bank, convenience store and a number of apartment buildings have not reopened since the flood. The only place to buy gasoline requires a credit or debit card to pay at the pump. Libby Peterson, 10, wants to see her school stay open, even though she will be in middle school this fall in Reedsburg. "The fourth-graders want to stay here for fifth grade," said Libby, whose mother, Rachel Burkel is her teacher. "I like how you know everybody." There are few walls in the school, which opened in the early 1970s and features an open concept. The library and 25-terminal computer lab are at the center of the school. Lunch is served in a room that is also used for music and art. The playground overlooks Narrows Creek. The former elementary school, a four-room brick facility built in the early 1900s, is visible through the trees and sits atop a hill. It is now home to a pottery studio owned by Winthrop and Sandra Byers. Both of their children attended Rock Springs Elementary. Their daughter was valedictorian of Reedsburg High School in 2007 and now attends Lawrence University in Appleton. Their son, a senior at the high school, will attend Lawrence in the fall. "Kids from here do well," said Winthrop Byers, a former village president. "I don't see how you can make an argument that education gets better by being on a bus for an hour."